Beware of this company and Chris Goodwin. Goodwin used to promote himself on his website as a civil engineer which is not at all accurate. He took it down after he was deposed during a lawsuit where he created over 300k in damages to our home. We unfortunately tried him out to see if he could be recommended to clients. He was recomended to us by a client investing in new homes. He and his partner attempted to discredit me to my clients in retaliation for my completely justified bad reviews of his company. We countered sued him after he tried to lien our property. He was not successful but we still lost hundreds of thousands as he had his assets are hidden and like most contractors, has his insurance company to fight clients in the legal battle. He is still building new homes in the Charlotte area so be careful. He is not truthful regarding his knowledge nor capabilities. He intentionally tried to cover up deficienies at our home. He even attempted to hide a potentially life threatening deficency where a structure (so poorly built it was 100% rebuilt) wasn't properly secured to the main structure. I have the documentation to show what this person did and how he operates. We spent hundreds of thousands of dollars rebuilding everything he touched. Incompetent and intentionally negligent doesn't begin to cover this person. We had the best engineers and attorneys and all of this documented. Don't believe a word this person says. He shouldn't have a license. He is negligent and dangerous. Don't go through what we did. It has taken us years but our home is perfect now after Goodwin caused uneccessary damage to almost every inch of it. 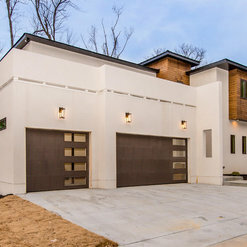 We have worked with Chris and the team at Goodwin Custom Homes on multiple projects now. In our experience, we have found that the level of detail and care that goes into each project is amazing. The team at GCH is an amazing partner for us and we look forward to continuing our relationship in the future. 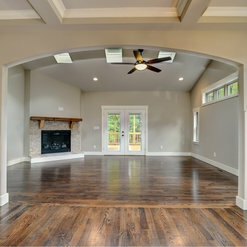 I highly recommend Chris and team for any new or remodel construction projects that you may have. 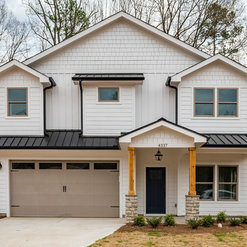 We built a 3400Sqft /500K house with Goodwin custom homes. 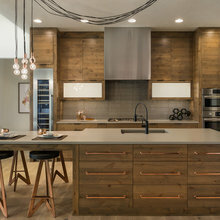 It was really easy to work with Chris, and he let us choose our finishes and even accommodated changes to the floor plan. He was very patient and always explained the pros and cons of every change that we asked for. This helped us make the right decisions and we are very happy with the final product. 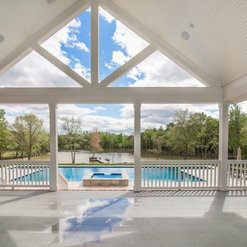 If we were ever to build another home we would pick Goodwin Custom homes. Amazing attention to detail with custom features that I don't often see. Not only are the products amazing but TRULY custom. 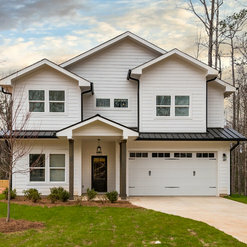 As a Realtor, Goodwin CUSTOM homes is my go to when clients want to build from the ground up and the ONLY homebuilder I would trust to build my personal home. He stays within timeline and budget and is responsive to clients. Can't say enough about this company. 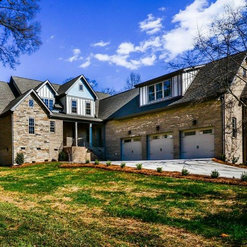 Goodwin Custom Homes was an absolute pleasure to work with. 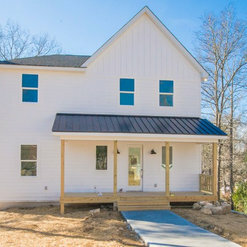 This was our first experience building a house, not to mention with custom, and Chris and his team were very helpful along the way. We have stayed in touch now more than a year later, and they still provide help, referrals and advice when we need it. Thank you, GCH! To whom this may concern, I have worked as a vendor for Goodwin Custom Homes for 3+ years. I would put Goodwin Custom Homes in the top 5% of the 50 + builders that i work with. Everything about my relationship with Chris and his staff has been an absolute pleasure. 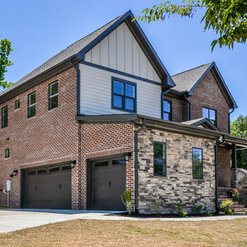 Attention to detail, timeliness, quality, knowledge of products, professionalism, overall knowledge of the building envelope far exceeds most of the contractors that I deal with. 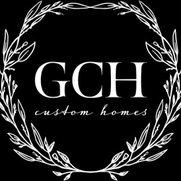 I would recommend Goodwin Custom Homes to anyone without hesitation. 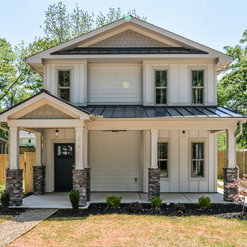 I work along side Goodwin Custom Homes as a materials supplier and I have to say, they build a very nice, solid home with an eye for detail and extras that I would want in my own home. I would not hesitate to buy and would be very proud to own a home from these guys.